No obligation free quote and consultation. We have trucks size range from 20 to 55 cube meters, or any size combinations, all our furniture trucks are fully equipped with tail lift , and loads of protection pads for your safe transportation. 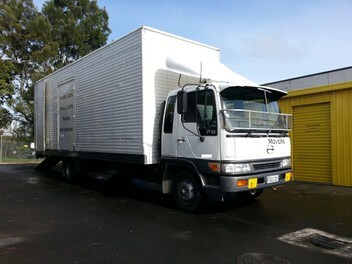 ** Moving within great Auckland region from as lower as $80per hour GST inclusive. (Term and conditions, all rights reserved). Email us your inventory list for your FREE consultation Now@ kntranz2012@gmail.com. Excellent services! Good communication before arrival. moving things fast enough and gently, also very smartly stacked things up. All furnitures are safe and secured. Meet all my requests when off loading as well. Very patient and great attitude, will defintely use them again. Excellent service thank you - very quick to quote, and did the moving same day. The men were very patient when there were unexpected delays moving the credenza into the house. I couldn't ask for better. Great service and very nice staff!! strongly recommanded!! Tiffany was great to deal with and really efficient.Unfortunately the movers just weren't really up for the task.They arrived 40 mins late, on 3 different occasions I observed one of them stand on my furniture to load other furniture and it took them 4 hours to move my stuff into a storage unit compared to 2.5 from previous movers,same number of men.They were slow and while very friendly,weren't fit enough for the job at hand. Used KNC's service right before the new year. Tiffany was quick and great at quoting and confirming the dates. They were not the cheapest, but I got plenty of quotes higher than theirs. Team Allen did a decent job help me moving. As my new place was just repainted, they took extra care not damaging any paints. Movingwise, they were not the quickest, but they took good care of my belongings and were definitely worth the charges. Will use them next time for sure. I went through a long list of furniture movers for a quote and found these guys were very reasonable. They dealt with my p/u and delivery prompt and at short notice, i must add. I found them very reliable, efficient, friendly and polite. They kept me informed along the way. You want TOP SERVICE and at a very AFFORDABLE cost then I highly recommend these guys. Thanks again guys. Alan and his teams were awesome, punctual, and super careful with all our furnitures and also the walls...... highly reccommend to all. Dispel the myths of other moving companies. These guys did a great job and we very accommodating to my bizarre mix of heavy and fragile items. I thought I was going to have to take items like the TV myself, but these guys had heaps of moving blankets to wrap/separate stuff. Loaded up the piano too, no troubles. Leave your clothes in your drawers, just treasure them shut. Very pleased, thank you. Fantastic job moving our large items carefully down our steps. Hardworking and courteous blokes. Highly recommend them. Attitude enthusiasm, serious work, professional and meticulous, thoughtful service. There is no fare increase, the next time will continue to move with KNC Auckland professional service. BIG THANKS TO ALAN AND HIS TEAM! !.I RUN A FURNITURE STORE IN CITY AND ALAN IS THE ONLY DELIVERY COMPANY I US.WE HAVE HAD NUMEROUS POSITVE FEED BACKS FROM OUR CLIENTS. FANTASTIC BUNCH OF GUYS TO DEAL WITH. Nice people, very effective communication and efficient teamwork. Very careful, even picked up the screws that fell out when they moved the bed. Highly recommend! Thank you! FANTASTIC RELIABLE AFFORDABLE ! Alan and his team followed through with their commitments and also delivered everything safetly. Our move was on 14 July but our experience with KNC was most disappointing. The timber bed headrest fell off the truck when loading and smashed to the ground. Upon unloading we noticed the joint of our dining table legs were broken. The guys phoned their boss and then told us that there is nothing the company can do to help with repairing the damages. The 2 guys worked hard but may need more training in professional moving. The truck which broke down should be better maintained. Disappointed. Alan Euan H.: Hi Teh, thanks for generous feedback and commence, we were really sorry about the accident that happened on your move, due to numbers of facts, included weather issues, and you have been given 15% discount at the time of billing, we always provide our best and well trained professionals to help with all jobs, however accident do happens sometimes, and we do always recommend clients to purchase third party insurance or to arrange with their contents insurance for the peace of mind. Great! Men showed up on time and got the job done in just over 2 hours. Fast and professional:) thanks! We used this service on April n we had worst experience ever. We moved lots of items on our own leaving for big truck with their 2 men-power few items to be moved from truck to new house. They took more than 1 hour to load the truck with a bed, washing machine, few boxes, fridge that they have almost forgotten to load. Once they sped up they left items under the rain expecting us to carry them and do their job. To make it worse they broke our brand new bed base. Not taking any responsibility!